Heuchera 'Dolce Blackberry Ice'. 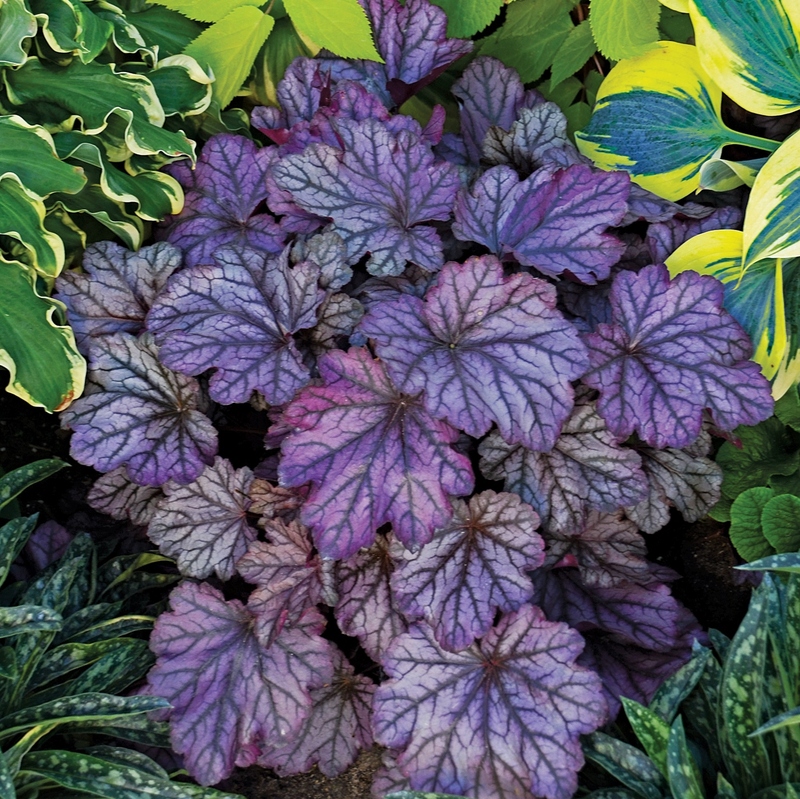 If you’re looking for the new standard in purple Heucheras, you’ve found it! 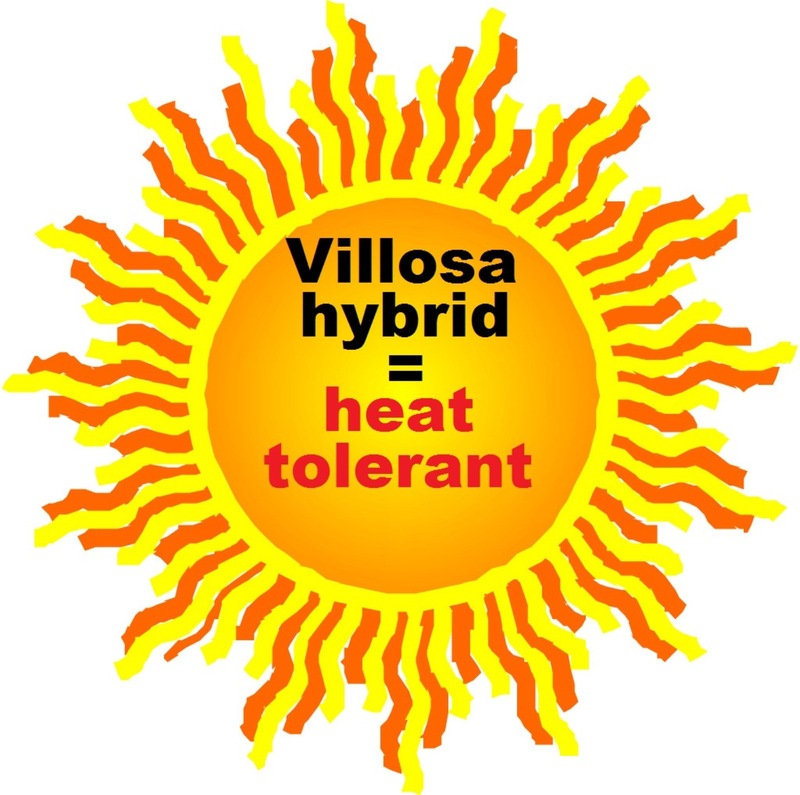 You’ll be impressed by the vigorous growth of ‘Blackberry Ice’ and since it’s a H. villosa hybrid, it also exhibits greater heat and humidity tolerance. 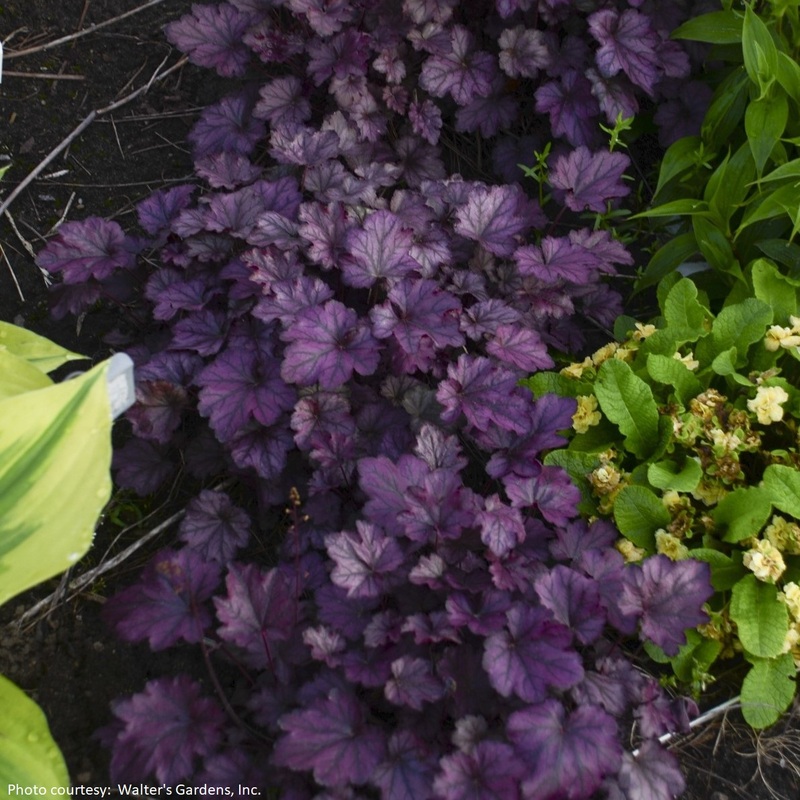 'Blackberry Ice' forms a full, rounded clump of attractive foliage that stays nice all season long. The newest leaves are a remarkable iridescent purple with black veining and have amethyst purple undersides. As the leaves mature, they develop a softly luminescent pewter overlay. In midsummer, reddish purple scapes which are quite proportional to the foliage carry wands of cream flowers. Whether you grow ‘Blackberry Ice’ near the front of the flower border or in containers, you’re going to love it! PP#26788. MATURE HEIGHT: Foliage 10-12". In bloom 20-26".